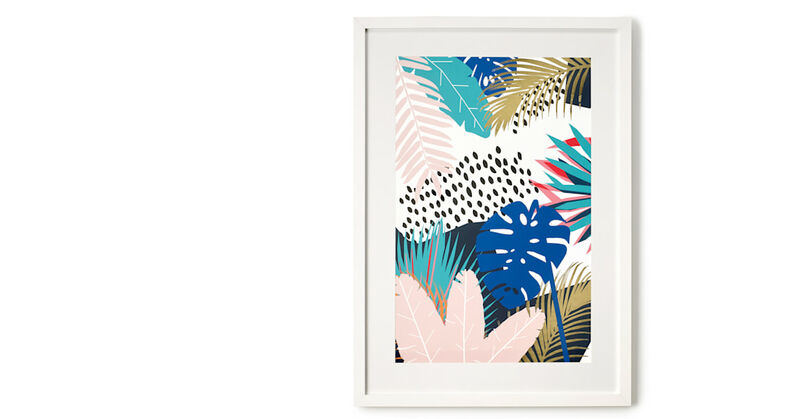 Bright and beautiful, this tropical print artwork adds some summery colour to your wall that won’t disappear when the sun goes down. Exclusively designed for MADE.COM, the gold leaf detail has been hand-applied throughout to ramp up the wow-factor. The slender matt white frame is perfect for a contemporary finish. At 50x70cm in size it’s weighty, solid and comes with metallic backing hooks ready for hanging.